The list was left in the comments section of the website of a Nigerian online news medium on August 12. The list also contains the addresses, professions, phone numbers, dates of birth and other details of the agents and their wives, children and other family members. A check on the Internet using two of the names of the compromised agents as keywords, the list of the agents, and their contact details, were found in the cache of the news website. The newspaper has, however, decided not to make public the list, the names of the website, the agents and their family members in order not to further endanger the lives of the compromised agents and their loved ones. Meanwhile, there were strong indications on Sunday that the State Security Service had traced the leakage of data to the Pension Office, a parastatal under The Presidency. 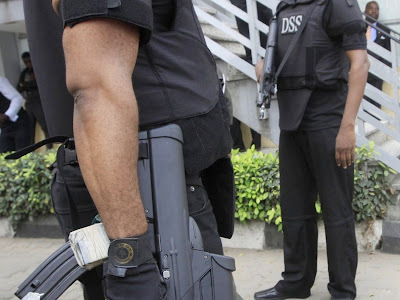 Sources in the SSS in Abuja told The PUNCH on Sunday that the leakage was traced to some officials of the pension office. They said the leadership of the service had issued a directive to its operatives to ensure that those behind the breach were fished out. One of the sources said, “The SSS has already traced the data leakage to the Pension Office which recently carried out a pension exercise for personnel of the agency. It was learnt that about a year ago, officers of the Pension Office were dispatched to all offices of the SSS across the country to update the records of operatives for pension payments. Findings revealed that the information sought during the exercise included the next-of- kin of the operatives, and other vital personal information such as their academic qualifications, dates of birth, permanent home addresses, telephone numbers, bank account details and so on. A source said although the SSS operatives were not inclined to releasing such sensitive information, they provided them because they were told that it (exercise) was a presidential directive that must be obeyed. Those in crisis-ridden areas are said to be demoralised as the exposure portends danger to their careers, lives and families. It was gathered that the leadership of the SSS leadership had taken up the challenge to ensure that the source of the leakage was traced. However, the Pension Reform Task Team has denied that the leakage of the operatives’ data emanated from it. The spokesperson for the PRTT, Mr. Hassan Salihu, told The PUNCH on Sunday night that the Department of Security Services, has its own pensions department. The SSS Deputy Director, Media and Public Relations, Marilyn Ogar, had last Thursday denied the data leakage, describing the AP report as false. Ogar said, “The report is false because the AP reporter that filed the story failed to give me the link to the website that allegedly published the personal data of our personnel.